Netflix Announces Cast For Supernatural Series ‘Stranger Things’!!! 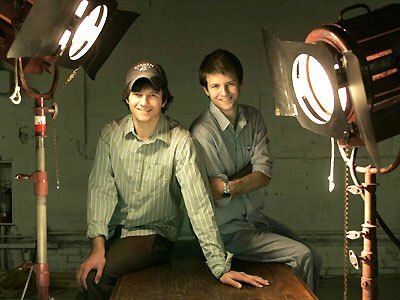 The net was widely cast in the search for the younger actors that anchor the serial which was previously billed as ‘Montauk‘ and is set to debut next year which centers around 1980 Indiana where a young boy’s unexplained disappearance and his mother’s struggle to uncover the truth while confronting terrifying forces that hold the key to his return. As friends, family and local police search for answers, they are drawn into an extraordinary mystery involving top-secret experiments, terrifying supernatural forces and one very strange little girl. The premise strikes me a bit as a nod to ‘Eerie, Indiana’. Winona Ryder is cast as the distraught maternal figure, Joyce, and is fitting as the program has been described as “a love letter to the ’80s classics that captivated a generation”. There is no actress more fitting as a representation of classic 80’s-90’s media than Ryder with appearances in ‘Edward Scissorhands‘, ‘Dracula‘ and ‘Reality Bites‘. Lately she has been a presence on television with ‘Show Me A Hero‘ and has recently been attached to the long-awaited ‘Beetlejuice 2‘ sequel as Lydia Deetz. David Harbour (‘Equalizer‘) has been assigned as the town’s police chief. Finn Wolfhard (‘The 100‘) appears as Mike, a bullied 12-year-old and best friend of the missing boy who has some highly heroic moments. Millie Brown (‘Once Upon A Time‘) is a mysterious unknown who is in the woods and possesses strange abilities. Gaten Matarazzo is another 12-year-old who has a presence on the boards of Broadway will be the comic relief and a stand-out character that forges his own way in life. Caleb McLaughlin is Lucas, highly vocal with all the bull-headed strength and courage the other boys lack. McLaughlin also has a Broadway background as Young Simba from ‘The Lion King‘. Noah Schnapp is the smaller more sensitive boy in the group who isn’t easily pigeonholed in a 1980’s stereotype, he’s our missing boy. Schnapp is in demand at the moment and will be in the upcoming Tom Hanks/Steven Spielberg picture ‘Bridge of Spies‘ and is the voice of Charlie Brown in the soon to drop ‘The Peanuts Movie‘. 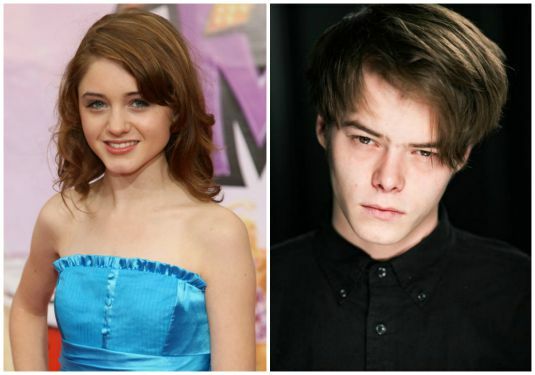 Natalia Dyer (‘I Believe In Unicorns‘) is the missing boy’s older sister and Charlie Heaton (‘Urban and the Shed Crew‘) is another older sibling, this one to Will. Netflix’s Supernatural Series ‘Stranger Things’ Delivers An Intriguing Trailer!!! This entry was posted on Friday, August 21st, 2015 at 5:40 am	and is filed under News, Television. You can follow any responses to this entry through the RSS 2.0 feed. You can skip to the end and leave a response. Pinging is currently not allowed. « Film Review: ‘Kahlil Gibran’s The Prophet’! !